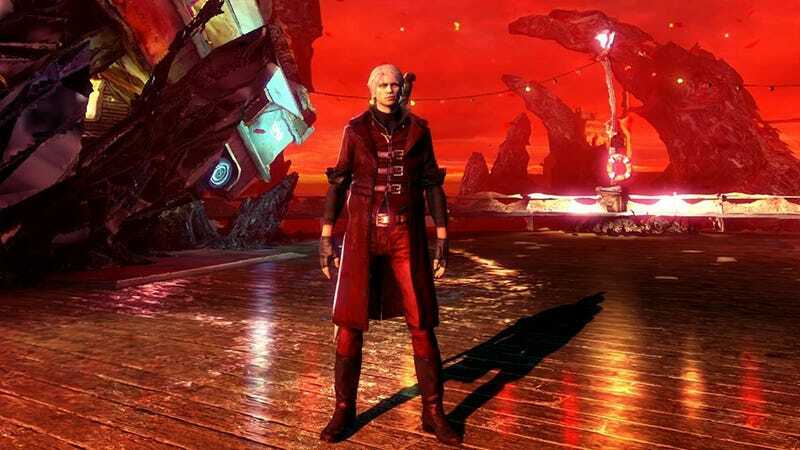 I really enjoyed DMC upon its first release, dark-haired emo Dante and all. Released today, the Definitive Edition for PS4 and Xbox One gives fans of the first game a more traditional demon spawn hero to play with. He'll do. Let's play! I've not streamed directly from my PlayStation 4 in ages, so if this all goes to crap we can blame Sony. It certainly isn't my lack of preparedness. If it does go well, then let us revel in enhanced graphics, mildly edited cutscenes and all the Combichrist we can eat. Update: The stream is done, but the archive remains. It's DMC alright!